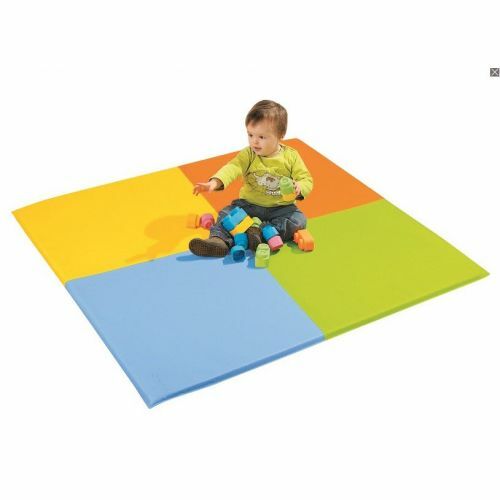 A multicolour square mat. Dimensions; L; 130 cm - W; 130 cm - Tk; 2 cm. or 51" x 51" x 3/4". Made from Polyether FOAM, density 34 kg/m³, covered with an M2 fire retardant jersey-lined vinyl cover. Washable with water or with light cleaning product. Fitted with an anti-slip base.